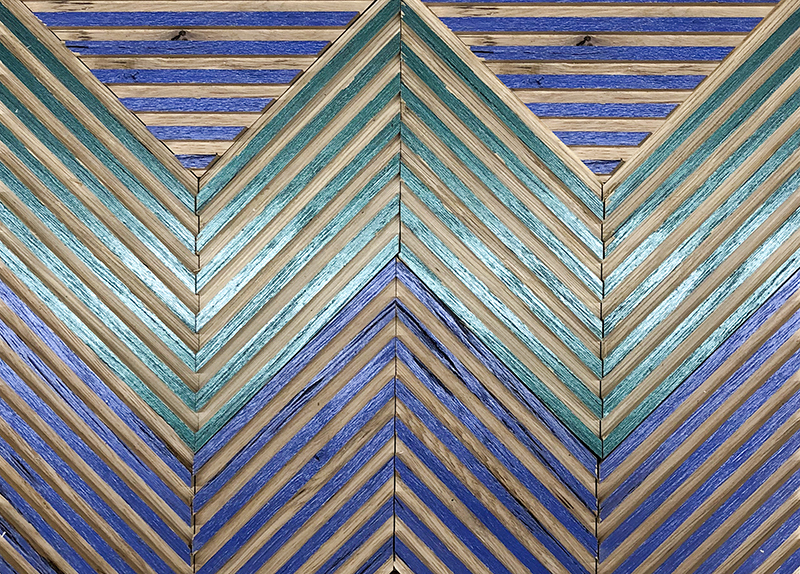 We're pushing the boundaries of reclaimed wood and taking it beyond the barn with modern colors and textures. Pioneer Millworks celebrates Pantone® Color of the Year 2018 by introducing purple reclaimed wood to their collection. 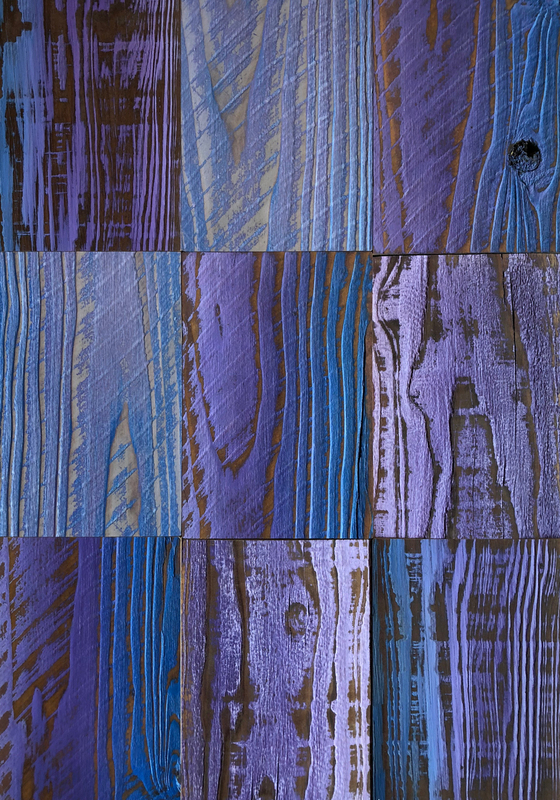 The Ultra Violet color is the newest offering in their Thoughtful Sophistication™ collection, which continues to break reclaimed and sustainable wood out of its stereotypical 'barn wood' category. This inspiring color joins the collection of modern and fashion-forward tones and textures. "Architects, designers, and builders need freedom to innovate. By pushing the boundaries of reclaimed wood and taking it beyond the barn with modern colors and textures, the palette opens up for this traditional material," said Jennifer Young, General Manager of Pioneer Millworks. Pantone® defines their color of the year as: 'Inventive and imaginative, Ultra Violet lights the way to what is yet to come'. Pioneer Millworks has incorporated the influential and inspiring color in an opaque application and a specialized gradation over wire brushed texture, allowing colors to blend and customization to be endless. Explains Young: "Designers should be able to dream big and get a quality custom product to bring ideas to life. We're pushing the envelope to include adventurous colors, opaque or translucent, solid or settled in the cracks and crevasses-giving designers the reclaimed wood of wild dreams." With an experienced in-house design team and solutions-based customer service focus, Pioneer Millworks is bringing classic grades, such as their rugged Settlers' Plank and smooth American Gothic to the design forefront with new milling profiles, textures, sheens, and colors in Thoughtful Sophistication. Options are available in solid paneling, engineered paneling, solid flooring, engineered flooring, board stock, treads, thresholds, and fixtures-all with eco-loving and LEED benefits. New finishes include: Ultra Violet, Sage, Caliente, and Oceanside. Pioneer Millworks is the leader in the reclaimed wood industry, with experienced wood design experts working directly with clients and mills crafting products from both coasts. To date, they've rescued nearly 28 million board feet of old wood from rot and landfills, giving it new life as flooring, paneling, millwork, cabinetry, and more. All of their wood products are manufactured in a way that's healthy for customers, employees, and the environment. Pioneer Millworks is FSC-certified and Green America approved. All of their products are LEED point eligible. Pioneer Millworks has incorporated the influential and inspiring Ultra Violet color in an opaque application and a specialized gradation over a wire brushed texture. 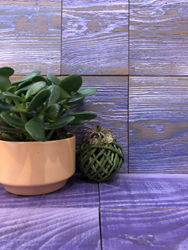 Pioneer Millworks latest color finish, Ultra Violet, is showcased over a wire brushed texture with various finishes (shown here with an eco-friendly polyurethane). In addition to Ultra Violet, the Pioneer Millworks Thoughtful Sophistication collection continues to grow beyond the barn with new textures, colors, and patterns.